ARTHUR PETER MUTHARIKA, President of Malawi, noted that the United Nations was created with the understanding that “peace is not just the absence of war, but that it comes with struggles, compromises, sacrifices and choices we make as nations and individuals, for the benefit of humanity.” In that light, he drew attention to several issues spotlighted by the High-level Independent Panel on Peace Operations, among them that missions should focus on political solutions with an emphasis on conflict prevention; partnerships were needed involving the Security Council, regional actors and national mechanisms; and the United Nations should be responsible for compensating the abused. He stressed the need for Security Council reform with the Ezulwini Consensus and the Sirte Declaration as guiding principles. He said that the quest for security and peace should hinge on sustainable socio-economic development. 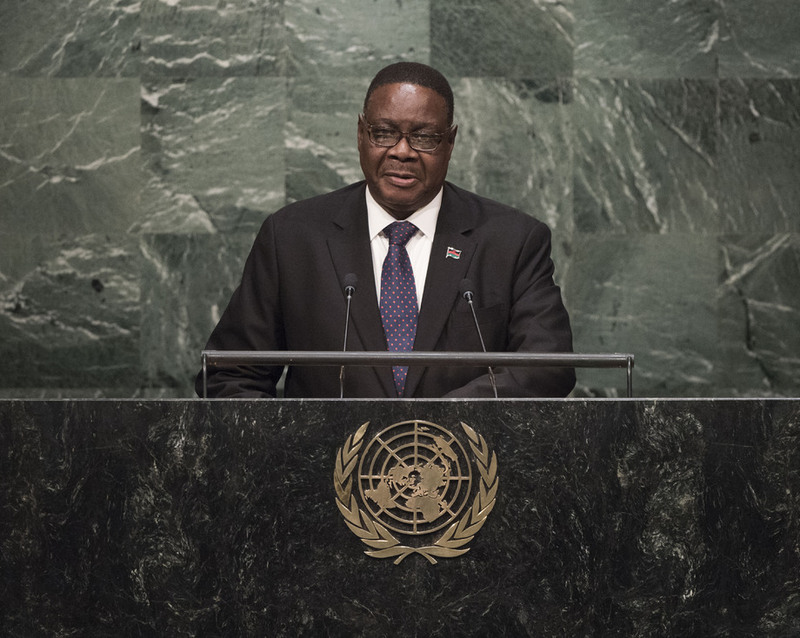 Looking towards implementation of the Sustainable Development Goals, he said that Malawi was well on the way to ending AIDS as a public health threat, by 2030. Women and youth, who constituted the majority in most developing countries, must not be left behind; they must be represented at all levels of decision-making in society. The Government was committed to the “He-for-She Campaign” to address gender inequalities and end gender-based violence, promote women’s political participation and economic empowerment. Singling out Goal 4, on education, he stressed the need to educate youth, and especially the girl child. He also emphasized the central importance of higher education. “With improved and increased access to higher education, the world will strike a massive blow at poverty,” he said. Malawi was committed to promoting human rights and rule of law, which could not be achieved without addressing fraud, corruption and theft of public resources. The Government, therefore, was also committed to fighting those vices and was pursuing and prosecuting suspects in the theft of public funds.